I'm a total wannabe Pinterest Mom! I LOVE crafting, party planning, and anything else where I can be creative! 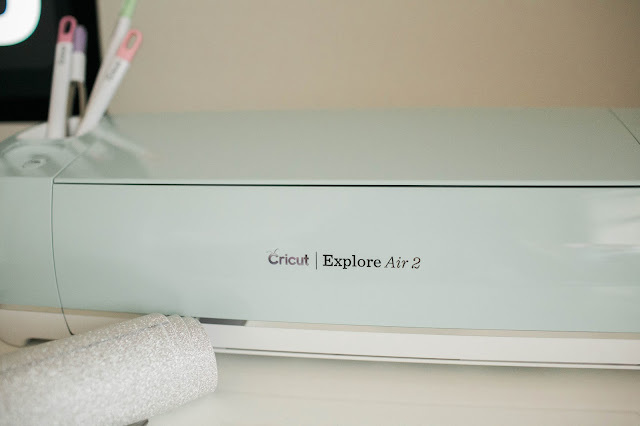 For years I've heard about this thing called a Cricut, and I've been so intrigued, but never pulled the trigger on purchasing one for myself. I have a handful of friends who own one, and were always telling me that I NEEDED one, and how I would love it and have so much fun! What I knew about the Cricut, was that it could cut things. Yep, that's pretty much all I knew! I assumed it was able to cut basic shapes out of paper. You know, probably some squares, circles, and triangles, and that's about where I guessed its capabilities ended. To me, this was still awesome, but I had NO idea what this thing really was! YOU. GUYS. This thing is freaking awesome! I was right, though. It cuts things. Ohhhh...it cuts things alright! It pretty much cuts whatever you want it to cut! 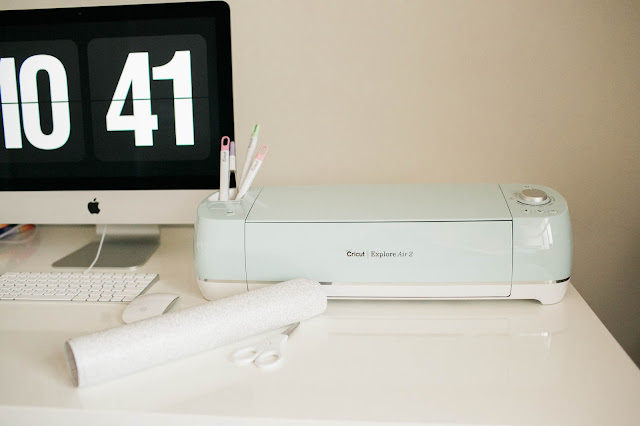 The Cricut comes with a program called Design Space, where you can essentially create whatever it is your little heart desires! You can print things and have the machine cut them out, you can have it write things (cards, address envelopes, kids coloring pages etc), or you can have it cut out fonts or pictures on things like vinyl, iron-on, yardstick or other materials! The possibilities are seriously endless. 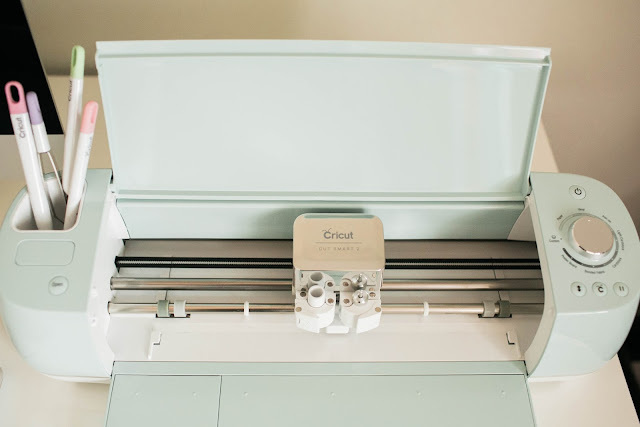 Not only does it come with Design Space, but there's an entire library of "make-it-now" project files for you to choose from! 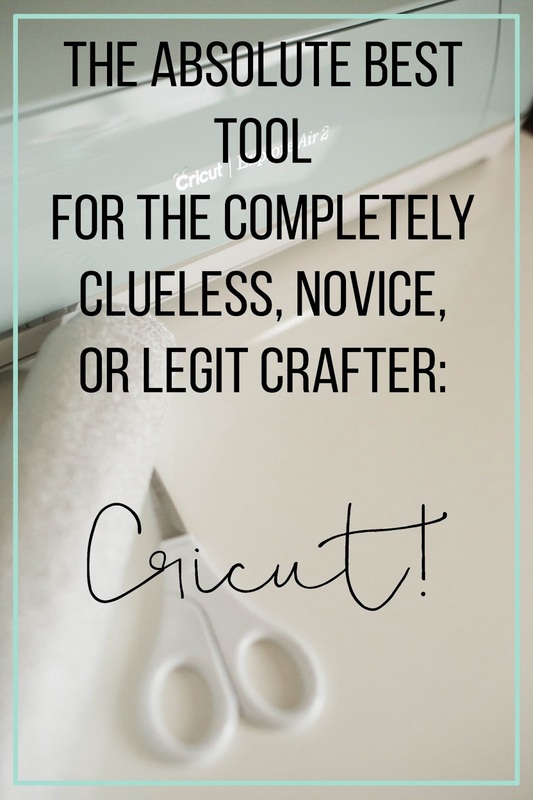 So really, it's not just for the wannabe Pinterest Mom like me, but this thing is for everyone! It's so much fun and I've been having a blast putting my blog logo on things, adding Eric's number to shirts for spring training, and making fun Frozen themed projects for Saydee! Stay tuned, I'll be sharing some more posts for beginners (like me) showing just how easy this thing is to operate! I'm obsessed. 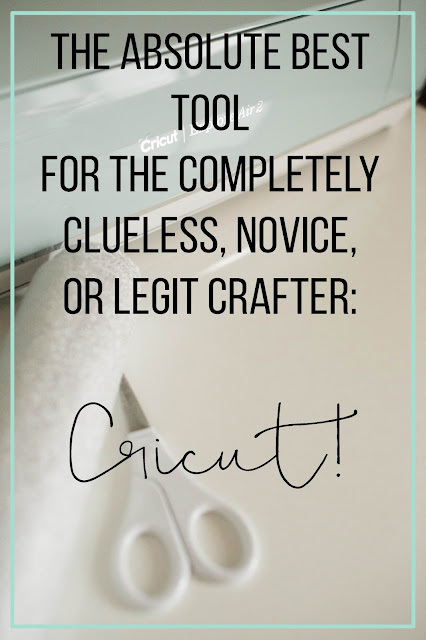 Head over to their website HERE ------> www.cricut.com to check it out!